Look beyond the RX17 Pro's spangly two-tone colour scheme and it's tough to spot any real substance - it feels like a decent mid-range phone that's hamstrung by a few superfluous features and out-of-date software. It's a close battle between this and the OnePlus 6T, and while Oppo's phone is weaker in some respects, it has a more eye-catching design and a cool ToF camera. Still, for the asking price, there are arguably better options available. The Oppo RX17 Pro is a solid phone from Oppo. It looks smart, modern and, unlike some previous Oppo models, isn’t weird or a tech try-hard; it’s the ideal device for its first foray in the UK market. The Oppo RX17 Pro is a more attractive phone for the European market than was the Find X. A gimmicky sliding camera makes way for a solid device that costs less, has a great display and a refreshing, premium design. In a market where the OnePlus 6T exists, is fairly difficult to recommend the RX17 Pro, but on the whole it's a good all-round phone. Plus, it'll charge up faster than anything you've ever used before. The RX17 Pro is a great looking phone with good performance and a lush display. But with a Snapdragon 710 rather than the better 845 it’s just impossible not to compare it to the OnePlus 6T which looks the same, has better software for the western market and, importantly, costs less. Once again, the pricing of the Oppo R17 Pro puts it in a tough spot and makes it hard to recommend over the similarly-priced competition. Especially when the competition consists almost entirely of flagship models. Perhaps over the course of few months, the Oppo R17 Pro will get cheaper and it will be worth considering. The RX17 Pro could be considered a high-end entry into the mid-range, but with the wealth of functionality Oppo has squeezed in here, there’s every reason to compare it against 2018’s flagship handsets. What remains is how well all these promising features play out in real-world use and whether or not the phone has the stones to compete with more classically-styled flagships in the field of performance. The RX17 Pro is priced closely to the OnePlus 6T, which has the cutting-edge Snadpragon 845 to brag with, while the RX17 Pro will be relying on eye-catching looks, a better fingerprint scanner, and hopefully, a more versatile camera. And things do look promising right now! As the RX17 Pro is just over the OnePlus 6T’s €550 price point this is definitely a phone to keep an eye on. 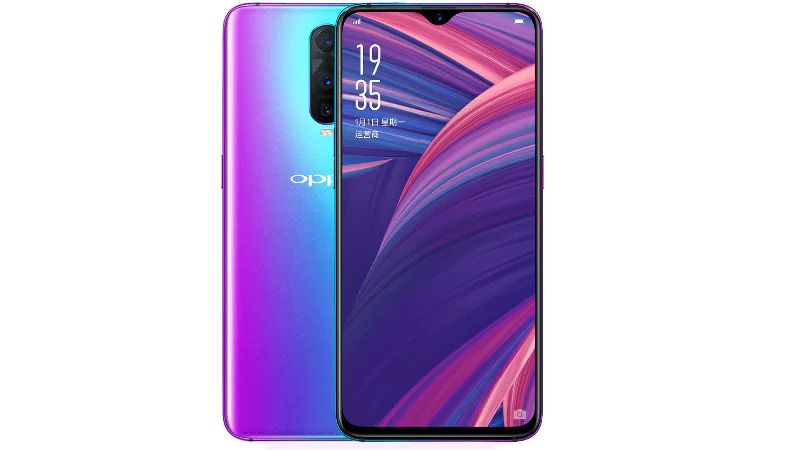 Many will prefer to get the 6T, although Oppo believes it is aiming at a more discerning market than OnePlus, hence the slightly more expensive price. 70% Test du OPPO RX17 Pro : un bel appareil qui coûte "la peau des fesses"